...does it? 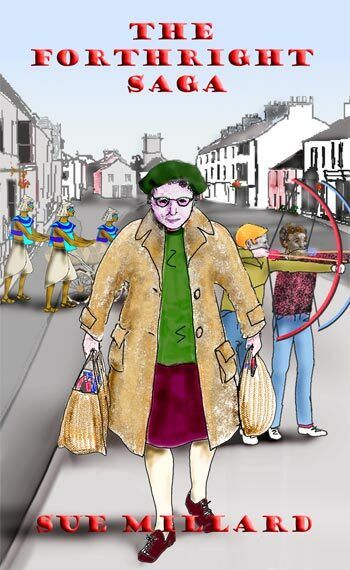 Nora Forthright and her grandson Wayne stumble through the fictional Cumbrian towns of Dangleby and Pullet St Mary, putting things right entirely by accident. GENRE: Comedy / cosy crime. Can be ordered from bookshops or purchased direct. Reviewers may request a digital copy in any of these formats in exchange for review. Please email. Mobi (Kindle) - please e-mail giving your Kindle e-mail address. E-Book (E-Pub) E-PUB files are readable by Android, Kindle, Nook, BeBook, Sony, Adobe Digital Editions, Kobo, Calibre, Google Books. PDF (Adobe reader) PDFs are readable by Kindle, Nook, Google Books, Sony and Kobo. HTML (web page) HTML is readable on any internet browser. The book and its images are sent as a self-extracting Zip file.